Lufthansa will resume A380 service from Frankfurt to New York’s John F. Kennedy International Airport on March 30, the third summer schedule season in which Lufthansa will fly the A380 to New York’s JFK, which also happens to be the first North American station that serviced the aircraft type when it first touched down on February 28, 2011. A380 service on the carrier lasts until October. The Airbus A380 is considered one of the world’s most fuel-efficient aircraft, burning about 12 percent less fuel than other wide-body jets. It is approximately 30 percent quieter than the current generation of wide-body aircraft. Lufthansa has ordered a total of 14 A380 aircraft, all scheduled for delivery by 2015. 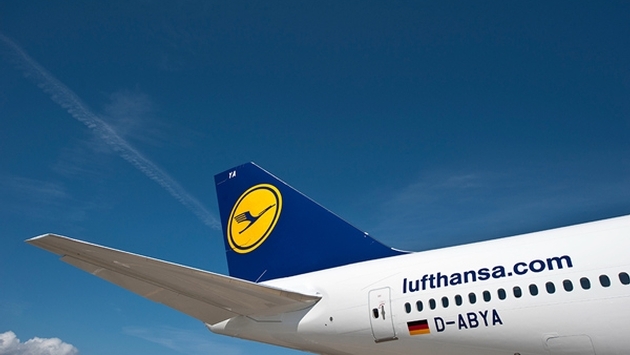 This will make Lufthansa the largest A380 operator in Europe. Lufthansa’s A380 is configured with 526 seats, which results in a 25 percent capacity increase on this route. Airports Council International-North America (ACI-NA) has announced that Congressman Richard Hudson (R-N.C.) is the recipient of the 2014 ACI-NA Commissioners Congressional Leadership Award, in recognition of his support of the U.S. airport industry. As chairman of the House Transportation Security Subcommittee, Hudson was an advocate of risk-based security initiatives and airports as they attempted to express their frustration regarding the TSA’s May 2013 decision to transition exit-lane monitoring responsibilities to airports. Bipartisan collaboration in the House of Representatives to oppose this rule was critical in including a reversal of this decision in the December 2013 federal budget agreement, as well as paving the way for trusted-traveler and other risk-based programs. Travelers are more satisfied with airline websites than travel aggregators like Travelocity, Expedia and Priceline according to the American Customer Satisfaction Index’s (ACSI) first-ever website benchmark. Interestingly, airlines also have the distinction of having the biggest gap in satisfaction between online scores and overall satisfaction, perhaps an indication that their historically poor performance is due to dissatisfaction at the airport. The ACSI has been measuring overall satisfaction with the airline industry for the last 20 years and will be releasing the overall 2014 scores in April. ASCI rates user website experience across 33 different consumer industries, offering a first-of-its-kind index of website satisfaction at national, sector and industry levels. Inaugural results show that aggregate website satisfaction is 78.2 on ACSI’s 100-point scale, which stands 2% higher than overall customer satisfaction for all measured companies (at 76.7). The website scores are based on more than 25,000 interviews and encompass user experience with websites of more than 200 companies within the 33 industry categories covered by ACSI throughout the year. Credit unions earn the top score of 86, followed by consumer shipping and banks at 85. 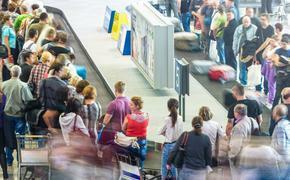 Airline passengers are pleased with their carriers’ websites (80), but not with their flying. At 69, airlines rank close to the bottom for customer satisfaction among all industries and also show the biggest disparity between website and overall satisfaction (11 points). Another travel-related category, hotels, scores high for website satisfaction (84) but mid-range for overall customer satisfaction (77).